Making a good first impression – especially in business and the corporate world – is vital. It’s been found that we have a mere seven seconds to make a good first impression. When you see someone new, your brain is whirring like crazy and taking everything in – are they approachable or someone to avoid? Are they friendly or standoffish? Are they trustworthy? Likeable? Professional? There is a lot that can be achieved with a smile and an open countenance, but something that can go a long way towards cementing a good first impression is the way we dress. It’s vital that you make a great impression with your corporate attire, whether you’re seeking a shirt for a special event and want to have your whole team looking sharp, or you want an everyday shirt for your office to wear. It’s been found that clothing communicates information about the wearer, and that first impression can be heavily influenced by the attire we wear. Even small changes in the clothing that we wear can have a big influence on the message that we communicate to others. So, it’s vital that you do all you can to get the best possible outcome from your corporate clothing. To view our complete catalogue range of trusted local suppliers, please click on the logos above. Lee T-Shirts is proud to manufacture and supply high quality custom t shirts Australia wide. We help you stand out from the crowd. Our fully customisable apparel is professionally screen printed, embroidered and designed in-house. 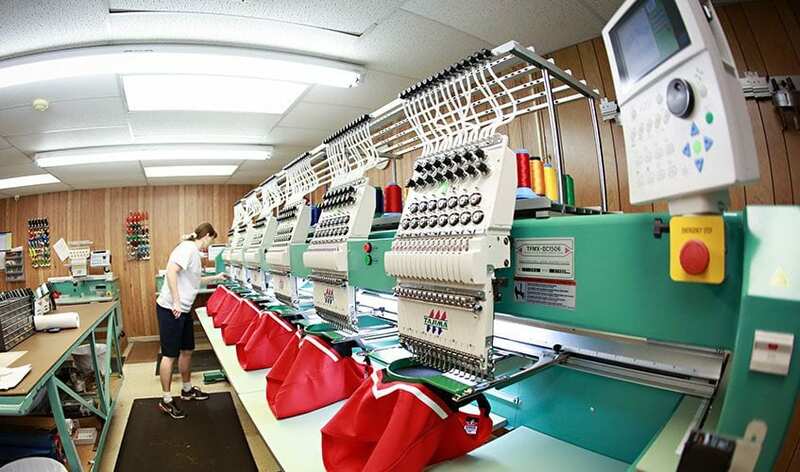 Our local manufacturing centre, using state-of-the-art printing technologies and superior textile decoration solutions. From promotional and corporate branding to personal gifts and Design Your Own prints. We can turn all your designs into quality decorated garments delivered directly to your door. With a professional, personalised service and competitive pricing for both single and bulk orders, our custom t shirts Australia wide are finely crafted with care and precision to ensure a premium, commercial quality product each and every time. Alternatively, to discuss any information about our products and services we welcome customers to visit our showroom. At Unit 4/129 Robinson Road East, Geebung, Brisbane. At Lee T-Shirts, we are leaders in custom corporate shirts; custom screen printed corporate shirts and corporate embroidery. It doesn’t matter whether you have a small team of ten or a large team of hundreds – we can help you with your corporate clothing and uniforms. Decorate your corporate clothing with high-impact, vibrant full-colour images and logos. Our versatile and high-resolution printing allows for your corporate shirts to make a real impact. We pride ourselves on creating flawless garments that look exceptional and make the best possible impression for your company. Don’t blend into the background; stand out with polished and professional corporate clothing that really makes an impression. We have a range of services for corporate clothing that allow you to get your personality across with ease. Our screen printing services draw on over 30 years of experience in the screen printing industry. We have been offering this stunning option to our trusted clients for many years, and we are proud to offer our corporate screen printing service (like all of our other services) in house. Screen printing is a reliable, durable and effective solution for your custom garments. We always get great results for our screen printing garments. We’d love to work with you on your shirts or garments. For a durable and beautiful solution for your corporate attire, you can’t go past embroidery. One of the most popular options for decorative work on corporate clothing. Embroidery is a hard-wearing and true representation of your logos. 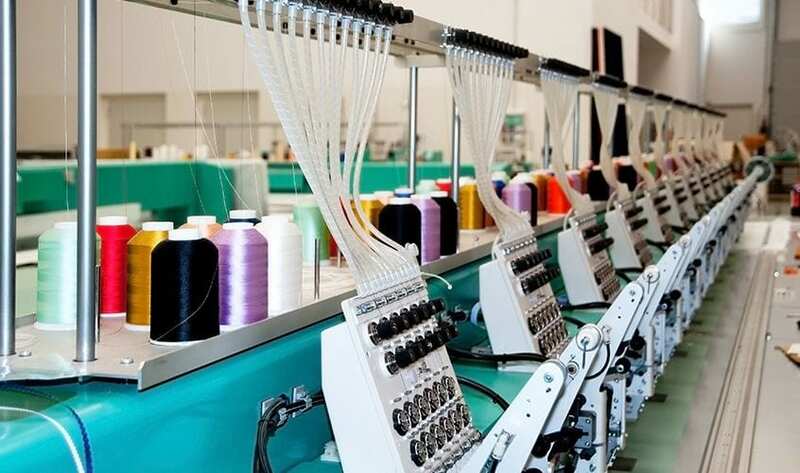 The cost for embroidery is calculated on the number of stitches that are used, and so it’s a cost-effective option if you have a multi-coloured logo. This transfer process works for 100% polyester garments and works to make an image part of the fabric, so it’s perfect for a lightweight sports shirt or another kind of polyester product. You can only use sublimation on light or white shirts, and it can also be used on hats and stubby coolers if you are after something a little bit different. Direct to garment printing (DTG printing) is an innovative and effective way to get high-quality images onto your corporate attire. We can create a high-quality print onto your corporate wear. This is because this is used predominantly on cotton clothing, DTG printing is a great option for a more casual workplace like a café, juice bar, or for when a casual corporate t-shirt is needed, e.g. for a fun-run. Enjoy this high-impact and full-colour printing process where you can enjoy versatile and high-resolution finishes that really stand out. This is a great option for small or large quantities of shirts. We look forward to working with you to get great results. 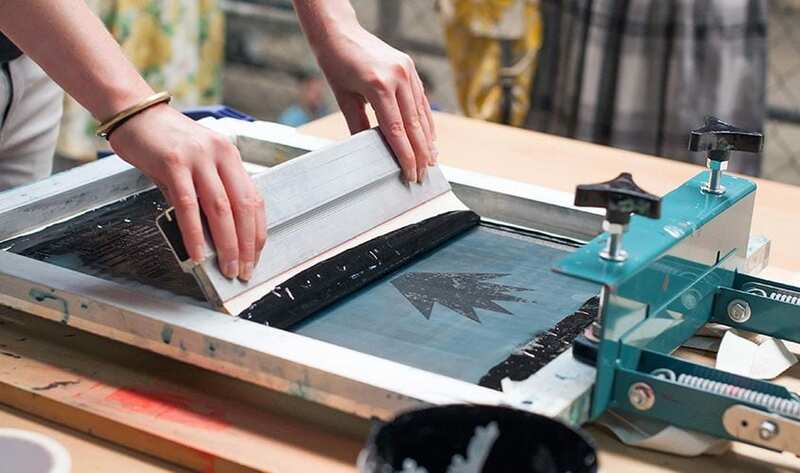 Our screen printing services draw on over 30 years of experience in the screen printing industry. We have been offering this stunning option to our trusted clients for many years. We’re proud to offer our corporate screen printing service (like all of our other services) in house. Screen printing is a reliable, durable and effective solution for your custom garments. We always get great results for our screen printing garments. We’d would love to work with you on your shirts or garments. When you have a business, you know the importance of maintaining a professional image, especially if you’re in a corporate or office setting. The way in which your team dresses can work in two important ways: to create a lasting impression on clients and to create a sense of togetherness and confidence in the workplace. There are some service industries which are customer-focused, including department stores, restaurants, bars, clubs and hospitals. These workplaces need to look united and to make the staff easily recognisable to improve the customer experience. The role of the uniform is very important in these workplaces, and having a strong corporate look is vital. It is undeniable that a uniform makes getting ready for work a whole lot easier. In many cases, having a uniform as part of your job is considered an honour or a perk. When you have a uniform, you don’t have to spend precious time in the morning thinking about what to wear. It also saves thinking about whether you have worn something already. You also save money on purchasing corporate attire. When everyone in a workplace wears the same clothes, they can enjoy a feeling of belonging which creates unity and togetherness. When you have everyone wearing the same thing, you ensure that there is a feeling of equality among everyone, no matter their platform. Speak to our team of t-shirt printing and decorating wizards. Get your business together with a quality corporate shirt or garment from our Brisbane printing team. We can deliver Australia-wide, so no matter where you are, we can help you.